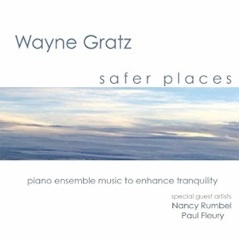 It has been 7 years since Wayne Gratz recorded his stripped down piano only creation Two Views and as enjoyable as it was the pianist has returned to a small ensemble setting for the recording of his latest jewel Safer Places. 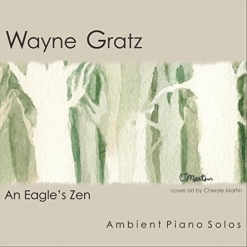 Featuring special guests Nancy Rumbel on the English Horn and Paul Fieury on cello the spotlight is still the uncomplicated melodies and piano work of Wayne Gratz resulting in possibly one of his best recordings to date. As you load up Safer Places into your computer the first thing you might notice even before the music begins is the length of three of his compositions clocking in at over seven minutes. The first lengthy piece is the second track “Supermoon” that features the cello work of Paul Fieury that has a more ambient feel to it but with just enough structure to maintain your full attention. Similar durational structure is found on “A Time For Reflection” but this time around Gratz meanders around Rumbels’s exquisite English Horn. 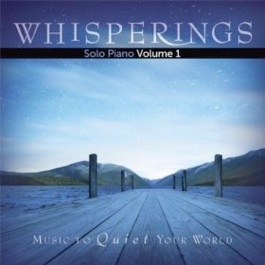 The third lengthy effort is towards the end of the album and is the most ambient of the three with Gratz’ almost improvisational piano work gently and lightly washed in symphonic strings. Lengthy pieces aside the remainder of the album focuses on Gratz’ understated but always memorable melodies and song structure opening with the impressive “The Bridge To Ponce” featuring Nancy Rumbel on the English Horn. Rumbel’s duet is essentially upstaged by the gorgeous cello work of Paul Fieury. 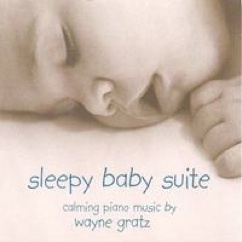 He seamlessly works with Gratz’ gentle piano work on the track “Even With The Rain”. And for those looking for more stripped down piano work found on his prior release Two Views, they are intermingled throughout the album. That said, the spotlight on this format can be found in the sanctuary of the closing title track “Safer Places”. Closing in on three decades Wayne Gratz recorded his impressive debut album Reminiscence on the Narada label way back in 1989. Never over presumptuous in his musical creations and delivery, the unassuming pianist has always managed to craft impressive and memorable albums some better than others but nevertheless always notable. Despite an impressive back catalog Safer Places is a Gratz gem and needless to say is arguably one his finest moments to date.